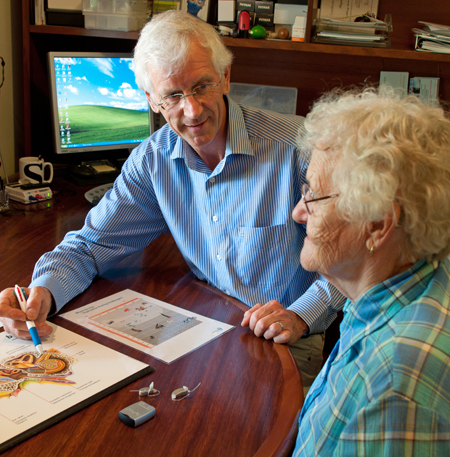 After graduating from the University of Melbourne with science, audiology and teaching qualifications I worked in the Victorian and NSW public heath systems before establishing Albury Audio Diagnostics, a personalized clinical & hearing aid service. Unlike other retail hearing-aid chains we do not cold call prospective hearing aid clients.The clinic presents rehabilitation options based on independent advice with no pressure selling techniques. Albury Audio Diagnostics is an independent audiology clinic in Albury Wodonga (other clinics are units of foreign multinational companies or government). The practice follows the ethical codes of conduct of the Audiology Society of Australia and Australian Audiologists in Private Practice.